The average price for this game in the past 6 months is $2.99. The game first became 50% off on Dec 9, 2014 at Kmart. Lowest historic price was $2.99 on Dec 11, 2018 at PlayStation Store. Lowest price ever for Lords of the Fallen on the PS4 and Xbox One in new condition at Best Buy. Hilariously, buying pre-owned at Best Buy will cost you $29.99 ($2 more). Amazon is price matching, which is nice if you're a prime member. New low on Lords of the Fallen for the Xbox 360 and PS3 at Amazon. Cheapest ever by $13 and elsewhere it's still at full list price. Next month's release of Lords of the Fallen gets its first real discount today at NewEgg. No coupons, no gimmicks - just $5 off. The average price for this game in the past 6 months is $5.25. The game first became 50% off on Oct 24, 2017 at Microsoft. Lowest historic price was $4.50 on Feb 19, 2019 at Microsoft. The average price for this game in the past 6 months is $3.50. The game first became 50% off on Dec 4, 2014 at Kmart. Lowest historic price was $3 on Feb 19, 2019 at Microsoft. Lords of the Fallen on the Xbox One down to $12.99 at Amazon. In brand new condition like this a new low by $7. Free ship if you have Prime or of course if your total order is $35+. Kmart has a new price drop on Lords of the Fallen on Xbox One for $30 with free store pickup. Lowest price we've ever seen by $10. Next best price online is $40 at Amazon. The average price for this game in the past 6 months is $4.19. The game first became 50% off on Sep 30, 2016 at Green Man Gaming. Lowest historic price was $3.50 on Oct 14, 2018 at Chrono.gg. Lords of the Fallen GOTY Edition is on sale again thanks to Fanatical's Star Deals where top titles are on sale for 24 hours only. If you want some fantasy RPG action in your life, this edition with all DLCs will fill that need. It's not exactly a blockbuster seller but Lords of the Fallen strikes the chord for many gamers, particularly those who enjoy action RPG of the Souls nature. Predictably the game has as GOTY Edition which is now at a new low price of $3.60. A six dollar purchase during the Steam Summer Sale 2017, which was a new low at the time, Lords of the Fallen GOTY is now $5.39 at Bundle Stars. Lowest price to date for the base game Lords of the Fallen with all 8 DLC packs. Lords of the Fallen with all its DLC packs down to $20 at Best Buy for the PS4 and Xbox One. Free shipping or free store pickup available. The average price for this game since released is $19.45. The game first became 50% off on Feb 9, 2015 at GamersGate. Lowest historic price was $3.32 on Dec 21, 2017 at Green Man Gaming. Today Lords of the Fallen Digital Deluxe Edition slashed to $10 at GamersGate tying its all time low. For whatever reason you can't even buy the Standard Edition anymore which use to cost $40. Lords of the Fallen Deluxe Edition hits the $18 mark today in GamersGate's 10th Anniversary Sale. Cheaper than the standard edition that runs $32 (current cheapest price). The Deluxe Edition includes digital artbook and map. The October 28th released Lords of the Fallen Digital Deluxe Edition now under the $37 mark for PC. Solid 27% discount only one week after its release. Requires login/account creation to see the discount. As far as I can tell, this Lords of the Fallen Complete Bundle is the same thing as the Game of the Year Edition. 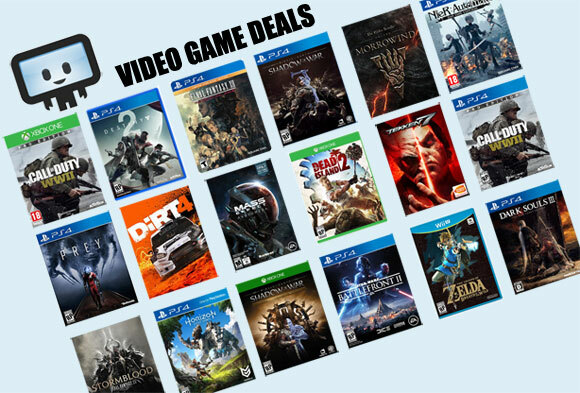 Both include everything the game has to offer at a $29.99 list price now down to nine bucks at Bundle Stars. Summer Sale style price level. The average price for this game since released is $30.24. The game first became 50% off on Jul 24, 2015 at GamesPlanet. Lowest historic price was $7.99 on Jul 20, 2016 at Green Man Gaming. Lords of the Fallen drops to new historic low of $15.50 - about $2-3 cheaper than Digital Deluxe Edition which is basically what's being sold these days (though not much diff in content).